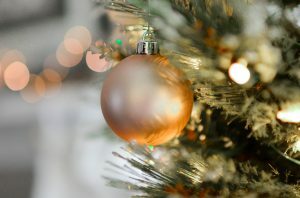 Christmas is just around the corner!🎄🎁 I love this time of the year. Christmas lights are glowing all over the city and a peaceful atmosphere is in the air. Due to the early darkness and the cold weather we enjoy spending more time at home. I mean, what could be cosier than a homemade hot chocolate and a Netflix evening with your loved ones, right? Also, it’s a great time to move forward with your sewing projects! 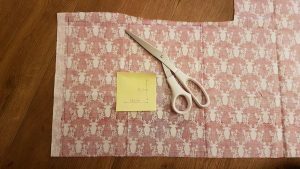 In this blog post, I will share the easiest sewing project ever with you. 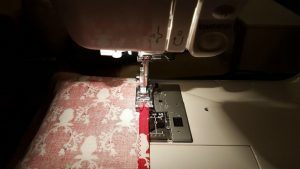 It only takes about 10 minutes to make and is a great project for absolute beginners as you only need to sew straight lines. More advantages?☝It’s the perfect opportunity to finally use the long-stored leftover Christmas fabric that you might have from older sewing projects. And in the end, you will have something special that will give your partner’s or your outfit a nice finishing Christmas touch. 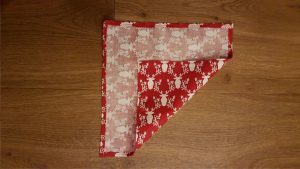 Enough chatter, so we’re about to make…(drums please)…Christmas pocket squares! 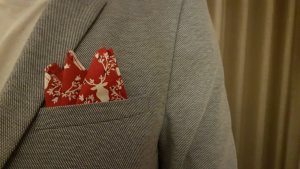 There are Christmas jumpers and all other types of silly Christmas things why shouldn’t there be Christmas pocket squares. Start with ironing out any wrinkles from the Christmas fabric you’re about to use. 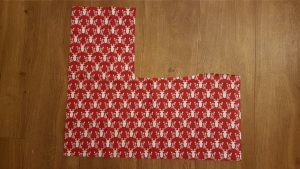 I’ve used a normal cotton fabric with a cute reindeer print that I received from My Sewing Box (a three-month subscription has been the leaving present from my previous employer). On the back of the fabric, draw a square. Use either a chalk or an erasable pen for this. My one had the following size: 26cm x 25.5cm. However, this is not written in stone. Why don’t you use another pocket square that you bought as a template? Just keep in mind to factor in a seam allowance, so the area between the cut edge of your fabric and the stitching. Then cut out your square with the dedicated fabric scissors✂️. Time to start sewing! Power up your machine and choose the zigzag stitch. It’s important to zigzag the edges to avoid that they fray out. Once you’ve made it all the way around, keep in mind to trim the threads. Then use the iron again. If you use a cotton fabric, go with full steam. 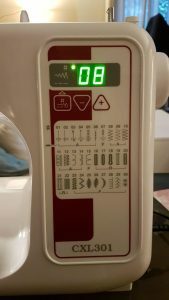 Press 0.5cm to the back of the fabric. Do this for all 4 sides. 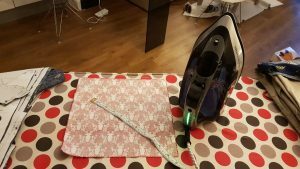 Depending on your fabric, you might also want to fold and press it a second time. Alright, we’re nearly there. So last but not least, you just need to sew all the way around one more time on the pressed fabric. I’ve used a very small zigzag stitch for this but the normal straight one would also be just fine. 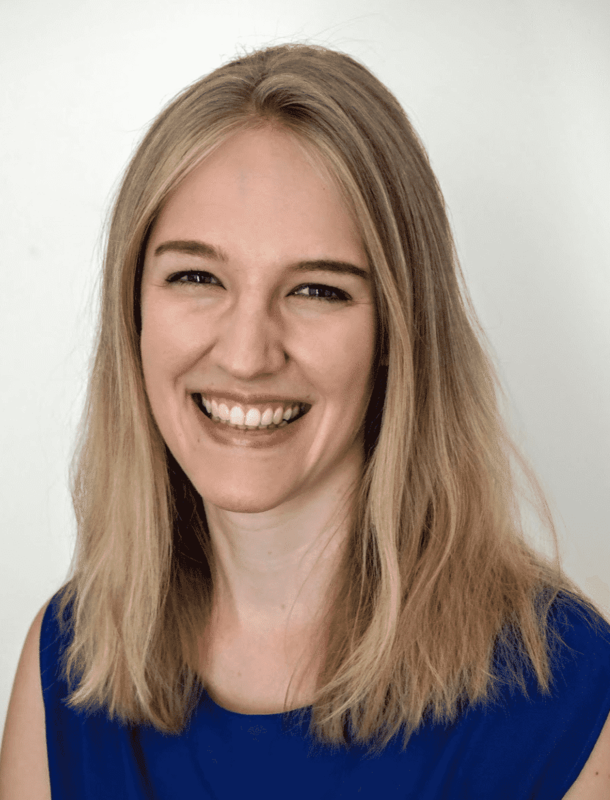 Trim the threads and…. Hope you enjoyed this quick tutorial. It really is the easiest sewing project ever and will only take a few minutes to make. And there are no limits to your imagination. Why don’t you use a glittery fabric, for example, to sparkle up your outfit this year?